Do you feel overwhelmed and stressed by all the things you have to do in your life ? 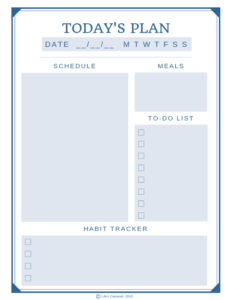 An easier way to track her schedule, appointments and important dates. A no-fuss way to keep track on her to-do lists. Less time and stress worrying about missing appointments or important meetings. More time to spend on things she loves! And you will receive THEM ALL for just $11!!!! 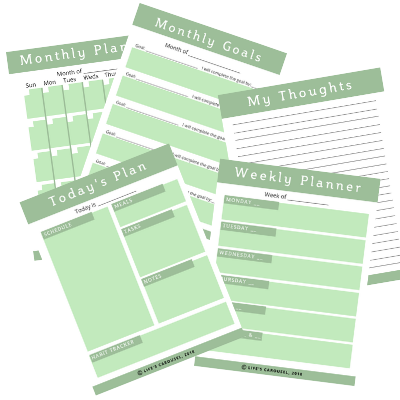 The smaller size is perfect for your 6" x 8" planner or journal. If you print the pages on shipping labels, you can then just stick the planner sheets into your planner! 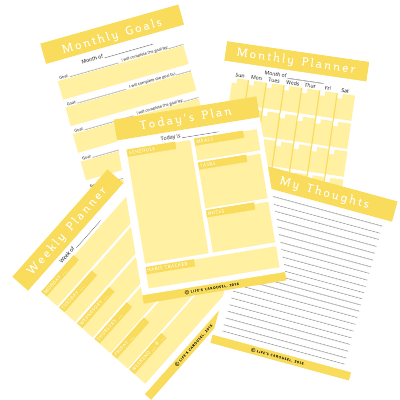 Convert your planner into a flexible solution that's customized to YOUR life! 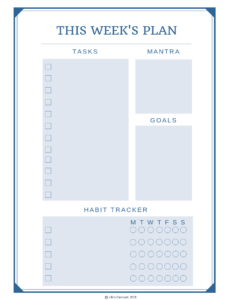 The simple design of these pages will look clean and organized in any planner or journals. 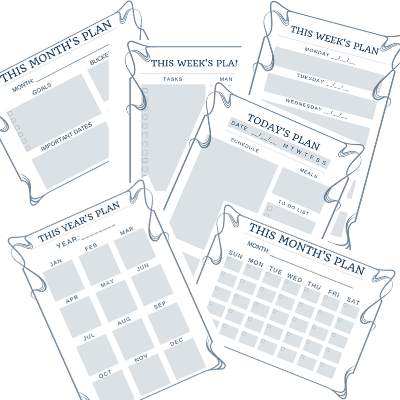 Save your colored printer ink - these pages also look great when printed in black and white! 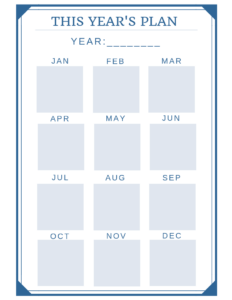 The Yearly Calendar page will give you an overview of your entire year. 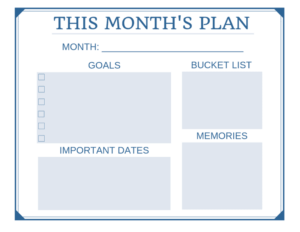 Each month provides you space to make a note of important dates or reminders. Never miss a birthday or anniversary again! Time to take control of your time and plan ahead! Keep track of everything that you have coming up in your month with this versatile Monthly Calendar Page. The dates are blank, so it can be used for any month you chose. No more having to wait until January for a new monthly planner! 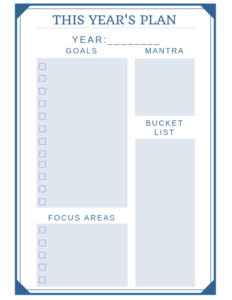 Start your new planner, any month of the year! This is the perfect space to record those important dates that you don't want to forget - birthdays, anniversaries... even when your bills are due. 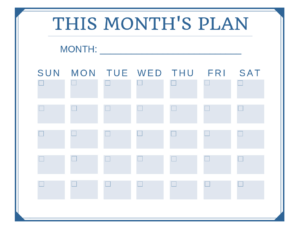 You can use this page every month, once a quarter or just when you need it most! 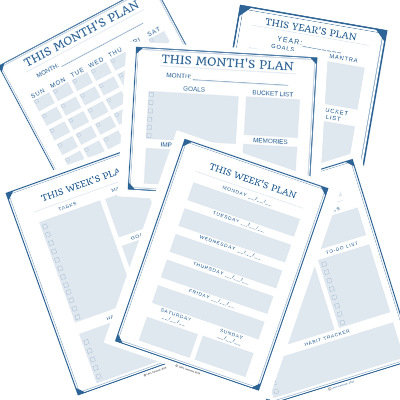 Our weeks can seem to fly by in a blur of meetings, activities, appointments, and tasks. 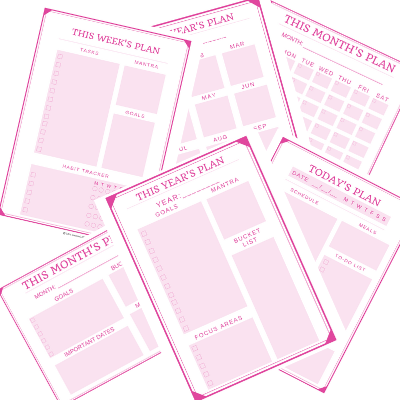 Stay on top of it all with the Weekly Planner Pages. 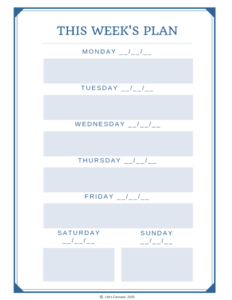 Each page has ample space for each day of the week and weekend. Write down your important appointments, meetings and more. At a glance, you will be able to see what the week has in store for you. Get ready to increase your productivity and take control! 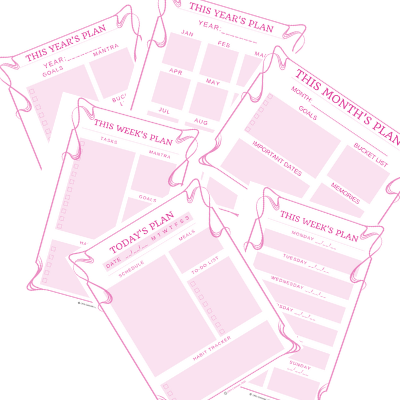 Get Instant Access - I want my Printable Planner Pages!